An article on the Internet caught my eye recently, it says there is a new camera exchange website going up in Australia 'dedicated' to buying and selling used photographic equipment. I stopped and thought for a moment, is that what the world is lacking and needs, another online auction, eBay wannabe site? The dirty truth is there is no dearth of websites offering new and used camera equipment for sale. In the old days, one would just go down to the local camera store and look at their inventory. Then there is usually a lower shelf, somewhere on the side of the display counter that holds the camera equipment that are used or on consignment. One can spend as much time as needed to get acquainted with new equipment or check the condition of used gear before buying. If it is new gear, the camera manufacturer will honor the warranty. If it it used equipment, they are generally sold as is but one can examine the offering and do one's due diligence on the spot. Hard to believe the world of Consumer Digital Photography is only about 23 years old when the first camera was offered for sale by Dycam as the Logitech Fotoman in 1990. Canon announced its own digital camera, the D30 back in 2000. I still have my treasured Canon EOS-1 V film camera. Once in a while, I will take it out on a nice day and bring a few rolls of slide film to do some photography the old fashion way. The photography industry is so technology driven now one can mistake it for the Computer or Smart Phone market these days. It seems every few months there is something 'faster and better' coming out to tempt consumers to trade up. Now with the help of the Internet, one has access to a world wide inventory of new and used equipment but there is no way to check the merchandise. If one is buying new equipment, it is a rather straight forward deal, just make sure you find a reputable seller with the lowest price. In general, Canon prices have kept up with inflation but their high end cameras and lenses retain their value well so there is a robust market for used equipment. For those who want to trade up but not spend too much money chasing the latest technology, the refurbished and used equipment market is a good place to start. However, when it comes to buying and selling used camera equipment, it is much more complicated. The danger here is buying from someone you don't know is a big risk on something that may not have an obvious flaw until you take the equipment out for a photo session. Is the seller providing a warranty? The original Canon EF lens warranty indicates that it is non-transferable. However, Canon's practice has been to honor an EF lens warranty if they are provided with a valid receipt from a Canon authorized dealer. So, you just may get warranty coverage on a Canon EF lens you purchase used if you have a valid receipt. Some commercial retailers provide their own used equipment warranty. Is there a return policy if you are not satisfied with your purchase? 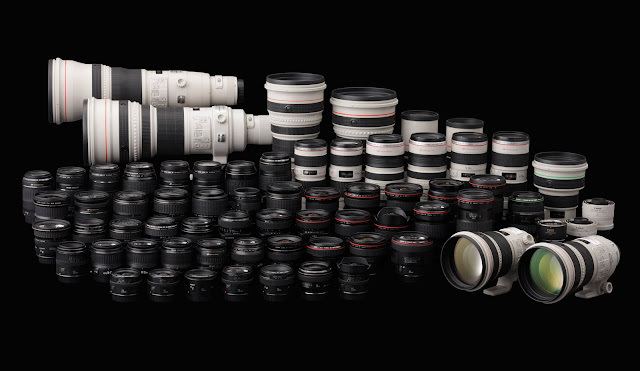 Most commercial retailers do not allow returns on used Canon lenses if you changed your mind, but transactions with an individual depends on whatever is negotiated. And even then, a guarantee is only as good as the party honoring it. If one is the seller, all these questions will be posed to you from prospective buyers. Over the years, I have sold and purchased used equipment. Personally, I buy new, top of the line gear as needed and take real good care of them. I am a Canon user and have sold Super Telephoto lenses, EOS-1 cameras and other gear to buyers in the US, Europe and the Middle East. I have also bought high end, lightly used equipment from individuals, but they are in my local area and I can examine the gear carefully before purchase. Camera stores rarely have the used equipment I was looking for at a good price but surprisingly I found the answer right under my nose. As it turns out, Canon USA runs a thriving Refurbished Equipment Store. These are cameras and lenses that retailers return to them with minor 'problems' or open box items. They are generally indistinguishable from new equipment, carries a one year warranty from Canon and ships in factory packaging to the consumers. There are stores that sell refurbished Canon equipment as well but their prices are generally higher and they do not carry the factory warranty. I am not endorsing Canon's Refurbished Stores or any other company, just sharing my experience with selling and buying used and refurbished Canon equipment and saving some money while doing it. I have been a wildlife photographer for over a quarter of a century using Canon gear. You can read my FAQs on equipment and see more of my work on MichaelDanielHo.com. You can also follow my travels on my Blog, Twitter , Facebook and Instagram.